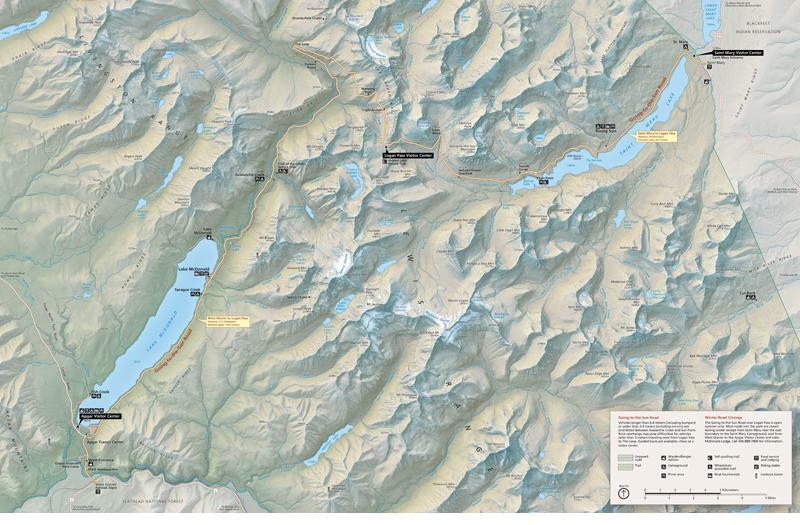 The downloadable maps below are in the public domain and you may use them however you wish, including commercially. The article below discusses how I made these maps. 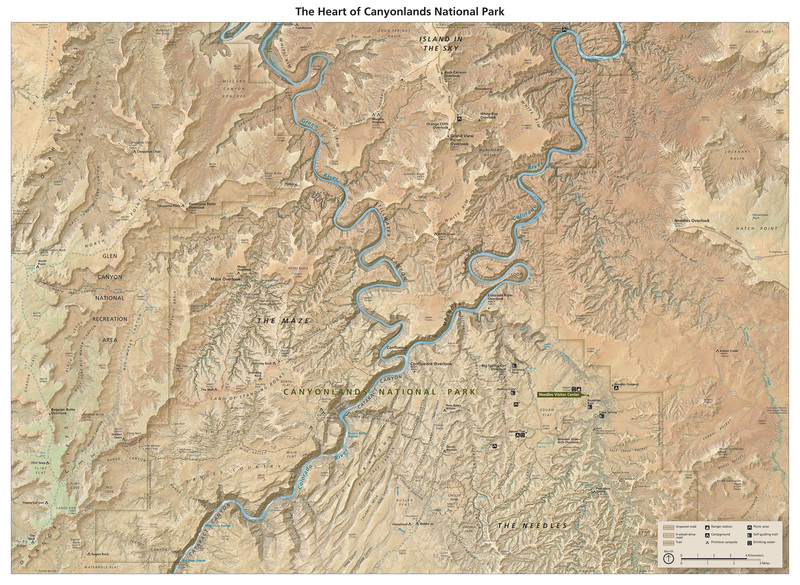 Brad Washburn's 1978 The Heart of the Grand Canyon, co-produced with National Geographic and with contributions from SwissTopo, inspired the making of this map. 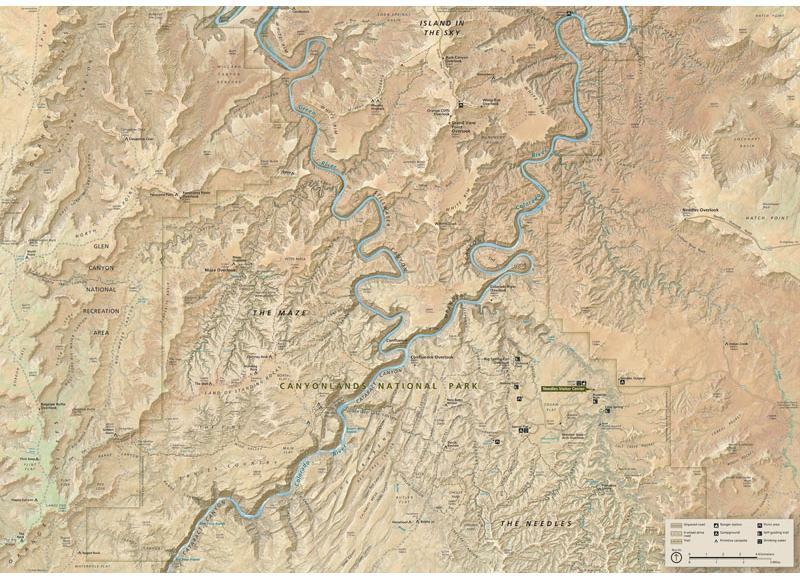 The arid-land textures derive from shaded relief, texture shading, and NAIP aerial photos blended together. The river rapids are the only manual element, which I painted in Adobe Photoshop using NAIP as a guide. In designing this map I drew inspiration from Swiss topographic maps characterized by mid-elevation slopes illuminated in warm yellow transitioning to white at the summits, and shadowed slopes depicted in cold gray-blue. 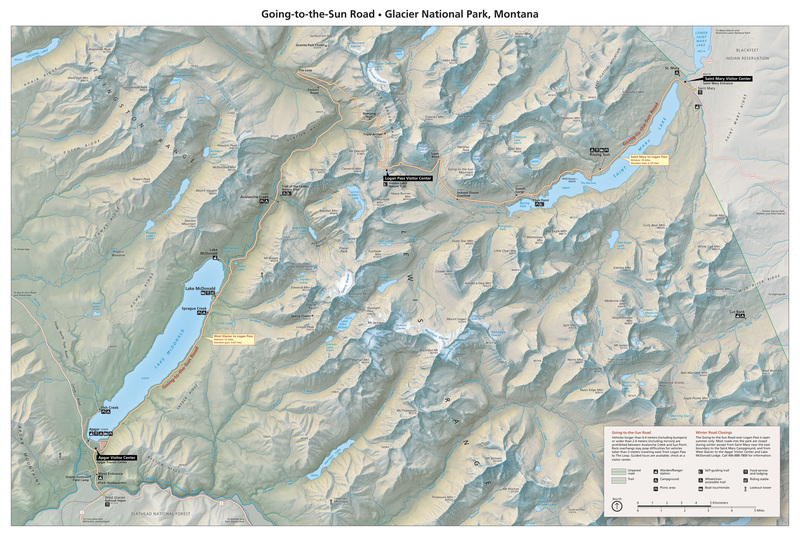 The map highlights the 50-mile (81-kilometer) Going-to-the-Sun Road crossing the spine of the Rockies.